These 28 carefully selected words of wisdom truly are some of the most powerful and wisest quotes ever written. 28 Of The Most Powerful Quotes Of All Time – Expanded Consciousness. ew study published in Nature Communications reveals how scientists have created an injectable hydrogel that can deliver drugs over specific time periods, eliminating the surgical implantation required with existing hydrogels. The researchers say the new hydrogel could help treat a number of diseases, including macular degeneration, heart disease and cancer. Injectable, ‘self-healing’ hydrogel may offer simpler form of long-term drug delivery Medical News Today. the US, 1 in 2 women and 1 in 3 men will develop cancer in their lifetime. Now, a similar rate has been reported in the UK, with a new study published in the British Journal of Cancer claiming 1 in 2 men and women will be diagnosed with the disease at some point in their lives. ‘1 in 2 people will develop cancer in their lifetime’ Medical News Today. There are no effective available treatments for sufferers of Glioblastoma multiforme (GBM), the most aggressive and devastating form of brain tumor. The disease, always fatal, has a survival rate of only 6-18 months. Now a new Tel Aviv University study may offer hope to the tens of thousands diagnosed with gliomas every year. A pioneer of cancer-busting nanoscale therapeutics, Prof. Dan Peer of TAU’s Department of Department of Cell Research and Immunology and Scientific Director of TAU’s Center for NanoMedicine has adapted an earlier treatment modality — one engineered to tackle ovarian cancer tumors — to target gliomas, with promising results. Together, nanotechnology and genetic interference may tackle ‘untreatable’ brain tumors Medical News Today. 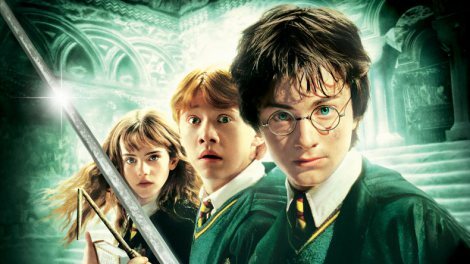 A series of arguably unmatched quality and spectacle, The Harry Potter series of films is the perfect moulding of text into big screen entertainment that provides for both young and old and features any vast array of elements from the magical, the mundane and the downright scary. From the first’s films release in 2001 to the last hurrah in 2011, audiences were privy to a film series that grew in confidence over a decade, from the young actors growth as performers through the filmmakers looking at fresh and inventive ways to produce their films, to the extent that many of the latter movies received recognition in fields such as cinematography and production design and the last films placing the IMDB’s Top 250 Films of All Time. A new study by a University of Texas at Arlington physics team in collaboration with bioengineering and psychology researchers shows for the first time how a small area of the brain can be optically stimulated to control pain. Optogenetic stimulation of the brain to control pain. How brain waves guide memory formation. Timothy W. Bredy, assistant professor of neurobiology & behavior at UC Irvine, and colleagues at the University of Queensland and the Garvan Institute of Medical Research in Sydney discovered that a gene called Gomafu might be key to understanding how our brain rapidly responds to stressful experiences. By looking across the entire genome for genes that are responsive to experience, they found Gomafu – which has recently been associated with schizophrenia – to be dynamically regulated in the adult brain. Hidden gene gives hopes for improving brain function.